There were rarely teachers on the train, and when there was it always caused something of a stir. However, there was normally no exciting or outlandish reason, in some cases it was simply nostalgia which inspired their decision, or occasionally they accompanied a package which could not be sent by other means. Professor Slughorn's reasons for requesting passage on the train were perhaps a little less noble. His favourite students would be returning, and on the platform there would be their parents, some of whom were also favoured once upon a time. A little socialising before returning to the cold castle would be welcome. His baggage, of course, had been sent on well-ahead, and he stood on the platform with only his attaché case and over-coat folded over one arm, waiting for the train to pull in. It would not be long, and before it left he would certainly have encountered more than a few present and past students, many of whom he was sure would be glad to see him, and he would be more than glad to see them. Rabastan glanced up and down the length of the platform, trying to catch a glimpse of Rodolphus in the crowd of people. His older brother had slipped off a moment or two ago and now he'd completely lost sight of him in the crush of people. He hated being left alone to mind the bags, it made him feel like a house elf. His parents had made their excuses not to accompany them. They hadn't bought the boy's to the platform since Rabastan's first day four years ago and really he was more than old enough to make the journey alone now. He would have to next year, what with Rodolphus being in seventh year and all. He'd be graduating from Hogwarts this year. Rabastan wasn't sure why his parents, unlike other people's, preferred to stay home rather than see their children off. He knew his father had some dislike of Hogwarts, and had briefly considered not sending his son's there but he had no idea what it was that had upset his father so. No-one ever told him anything though. With a sigh he sat down on his trunk, waiting for Rodolphus to return or someone to direct him onto the train. It was going to be another long year. "Rabastan!" The shout was excited, bordering on gleeful, and the young Hufflepuff, already in his school robes, heavy autumn coat and scarf pushed his way through the press of parents and students to reach the pile of trunks, suitcases and satchels. "Rabastan, there you are! I thought I saw Rodolphus in the main station but I couldn't see you at all. It's busy this year, isn't it?" He said, smiling broadly and unwinding the scarf from around his neck, cheeks flushed from the warmth of it. "Where did you go over summer? You must have been away for weeks, I sent you owls." The excited Hufflepuff continued, hardly pausing for breath, "I didn't go anywhere, apart from to Edinburgh with father to watch them install a new Floo in the Castle. It's rather impressive. Built on the core of an extinct volcano, the guide book said, but my father said it was actually the remains of a dragon nest, from years and years ago when there were still native dragons in Scotland." He paused, and smiled again, "So, what did you do?" Basil asked pleasantly, not realising he had asked almost the same thing a few seconds before. Inwardly Rabastan couldn't help but cringe. Naturally the first person he'd meet going back would be Basil. He'd probably even ask to share a carriage. He looked around again, hoping no-one from his year was around to see them. It wasn't that Basil wasn't a good friend or a pureblood it was simply that he was not the sort of person Rabastan would have instinctively chosen as a friend. There were house prejudices of course and running around with a Hufflepuff in tow hardly did anything for his reputation. He squirmed a bit at the mention of letters. He'd got them, he just hadn't written back. He'd hoped Basil would get the message that he wasn't interested in continuing their acquaintanceship but it seemed that was not the case. "Basil..." He said, glancing up at the boy but he found he didn't have the heart to tell him the truth. Basil would take it badly. Rabastan hardly wanted the cause a scene on the platform. "I was in France...with my family. I couldn't be reached. But really, it wasn't that interesting"
To be quite honest, Remus was relieved that his father had stopped chauffeuring him to school after his third year. It didn’t even bother him in the least bit that most of the students still arrived at the Platform with their parents, because he enjoyed the solitude. If nothing else, this gave him time to hide the badge in his pocket, safely tucked away out of sight. He had been named a Prefect this year. Him! All the times he had defended Professor Dumbledore’s sanity fell to naught. At first he’d suspected there had been some mistake, but a brief correspondence with the Headmaster that summer confirmed his growing dread. What if his friends thought him too boring and studious to be around anymore? Suddenly, he was recalling every particular remark they had made to the Prefects from last year – what on Earth would they say to him when they found out one of their own had joined the ranks? He felt decidedly ill at the possibilities. "– Oh, pardon!" Remus jerked away quickly from the person he’d just run into, mortified. Fabian had been engrossed in his own thoughts; mostly about the Ravenclaw Quidditch line up and booking the pitch for a practise before anyone else did. No doubt Malfoy would want to hurry up and fill in the missing parts of his Slytherin line up, and Fabian was debating between waiting till he saw the strengths and weakness of the new recruits or pouncing on the good spirits of the other students returning to school and having a fuller squad for try-outs. He righted himself with a laugh, checking to see who he'd bumped into but the other boy was the first to apologise even though the fault was equal on both their parts. But that was Lupin, always polite. "Don't worry, I wasn't looking where I was going." He said, taking a moment to look over Remus who certainly hadn't changed from last year - a bit taller maybe but he still had the same worried look about him. "Had a good summer?" Fabian asked, running a hand through his hair. "Bye Papa," Georgia said warmly, standing on her tip toes to kiss her father's scruffy face. She couldn't help but feel like he was so completely out of place standing on the platform. Her mother had wandered away to greet some of her friends from school, leaving Lev to fend for himself. "I'll miss you! Write me often!" She walked away, handing toward the ever familiar train. She couldn't believe this would be the last time she ever boarded the train in order to go to Hogwarts. It was thrilling but also terrifying. Georgia took one fleeting look back at her waving father and boarded the train, noisily fumbling around with her bags. "Oh," she said softly after a thought. "Locomotor luggage." Her luggage promptly followed her where ever she dictated, as if it was a well behaved puppy. "Hey," she greeted here and there with a short hug or a brief cheek kiss. Elizabeth had boarded the train much before she had and Georgia looked around to see if she could locate the other girl. Having no luck, and very near the end of the train, Georgia randomly decided upon a compartment and when she opened the door it was empty. "Well, this won't be so bad," she said thoughtfully and directed her carry on to the overhead compartment. Georgia sat down in her empty compartment and had a look around. Perhaps it would be so bad, she was terribly lonely all of a sudden. Peering at her watch, she realized with a start that mother hadn't actually made them late and they were well ahead of schedule. Well, perhaps someone would pop in on her. She could only hope, since, having pulled her bag back down, she discovered her sketch book was in her trunk and not at hand. To pass the time, she lowered the window and signed to her still lost looking father. Did you lose Mom? Yes. James darted down the long corridor, skating around students nimbly. His leather satchel thudded against his thigh and his red-and-gold scarf trailed after him as he swerved to miss a wide-eyed Firstie, neatly ducked under a floating trunk, and banged into an empty compartment. James paused at the threshold, blinking at Georgia. Then he glanced over his shoulder and ducked inside, shutting the door firmly behind him. He leaned against the shut door. "Sanctuary?" James said with a wide, crooked grin. "Or will you toss me to the mercy of the hoarde?" Regulus had run off to find his friends, and Sirius had parted company with them as soon as they had reached the station. Of course, it wasn't surprising anymore, not considering the summer they had had, and it was the reason that his wife had decided to stay at home rather than see her sons off on the platform. It hadn't been all that many years ago when she had come her so proudly, proud of them, and seen them off to school with a tear in her eye. Or perhaps he was remembering it more sentimentally, but there was no doubt things had been better then, much better. But that was the way of children. Wayward and in great need of helping hands, even if those hands were invisible, stirring them, shaping them into the adults they would need to grow into. That was why he'd come here, to ensure that Sirius' path took the right fork. Although with the platform this busy, it was impossible to keep an eye on exactly what either boy was doing. Remus was a bit desperate at the moment. Though it was certainly questionable that, with the antics that his friends were determined to induce, he was always a bit anxious about something. It so happened that Peter had gotten a hold of the Prefect badge, and was currently darting through the gathering crowd of students in order to show the others. He knew very well that they would find out at the feast, and wanted it to remain that way. "Peter! Let me explain, please –" If there was anything that he detested more, it was making a scene. And they certainly were. It was also very unfortunate that he should run straight into an adult just as his friend darted in another direction, and he was forced to sidestep an oncoming pile of luggage. "Excuse me, I’m terribly sorry. Are you –?" Several things happened at once. One, the inquiry died instantly upon seeing just who the man was. Second, Remus turned a nasty shade of gray, and looked like he was about to die on the spot. Third, he stammered, struck dumb. Waiting was dull. There was no escaping that fact, but at least this was the last time he would have to wait on the platform. No doubt there were some in his peer group that would feel nostalgic about that fact, but he didn't. There was too much to be done this year, too many plans laid that needed his compete attention for him to waste time on feelings which served no purpose. The train doors would open soon, and then it would be his duty to usher the younger years aboard, and he'd toyed with the idea of leaving some of the more annoying mud- and half- bloods in the station. No matter how much he might want to, however, it was an infeasible idea and he quickly abandoned it. No, a much better use of his time would be to locate Narcissa, to have a word in her ear before anyone else could corner her and start weaselling their way into her affections. That was the last thing he wanted. So with that in mind he set off down the platform, eyes peeled for her, wondering privately if his father had already spoken to hers, and hoped, if he had, that as yet no-one had said anything to her. "Owl, ticket, satchel, cauldron, broom," Molly said to herself, mentally ticking off her belongings. She couldn't get over the niggling suspicion that she'd left something behind--not that it would matter at this point. They were getting ready to board the train. "Books, robes, wand, stratagem..."
She looked up distractedly, then frowned when she saw who was heading her way. The frown turned into a scowl as her stomach flip-flopped. Merlin damn the pasty-faced weasel anyway. It would be that one of the hottest boys at school was also the nastiest. "Malfoy," she said in a mostly even tone as he moved past. One Quittich captain to another. Sigh. Another term was just beginning, along with the initiation of new prefects. Narcissa had not been surprised that her pin had come, she was a model sudent and th eonly in her year she believed deserving. Mind you, Narcissa was much more enthralled of the newfound power she held in her hands. She would use her position to the best of her advantage and not care what toes, so long as they weren't her Professors, she stepped upon. Besides, her Head of House adored Narcissa and would happily turn his head in the other direction. Impatiently waiting as her papa finished the yearly speech, Narcissa took the first oppertunity of disappearing she could. With a kiss to her mum and then papa's cheek, as well as a hug, the youngest Black set out to make herself available to those that believed there to be a friendship formed. Oh, she wasn't too concerned with her fellow dorm mates, or really any of the rubbish that unfortunately would board the train with her. Lucius truly should have made an 'honest mistake' and left the beasts behind. Now where was Lucius exactly? He had been fairly generous to her over the summer holiday and she couldn't help but wonder when negotiation for her hand would commense. Then again, Papa still had a good full year, if not longer, before marriage proposals had to truly be taken seriously, Lucius was not quite as lucky. Narcissa just feared he would find her too young for him, afterall he would be required to wait two years for her to truly be his. Oh, she was getting ahead of herself though and her sea was filled with an ample amount of options. Closing herself off to just him would be a lapse in good judgement! The first day back, on the station, was in Fabian's opinion the best day of the year. The worst day, of course, was the last day of term - standing here and waiting to be collected. He loved everything about the first day back. He still felt the same excitement he had as a boy when he'd first seen the train and had realised that it was all true - that he was actually a wizard and he was going to Hogwarts. He wanted the train to hurry up and leave, wanted to get on board and meet up with Ted and Frank, see Daisy again and plan the Quidditch strategy for this year. Ted was always good for trying a few new moves, or for some good sweets. 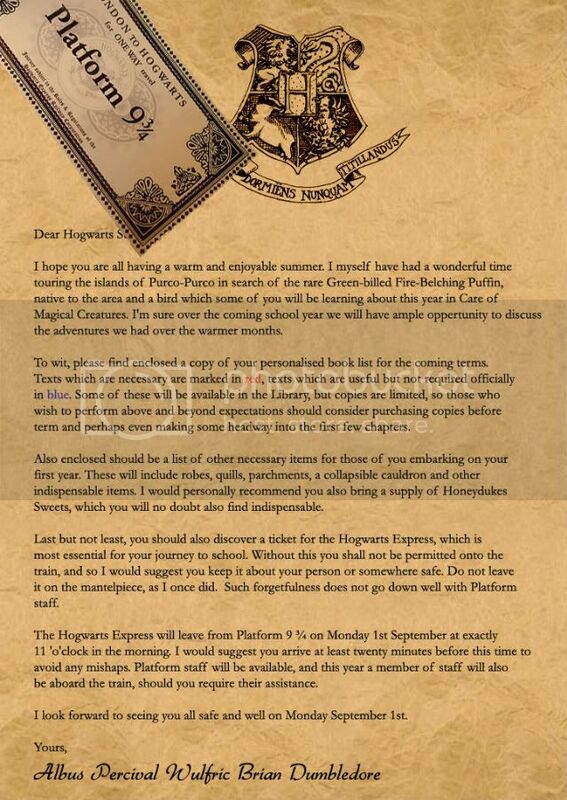 Hogsmeade soon too which meant Honydukes, and they could try and find a way into the Shrieking Shack and see just what it was that was haunting it. Fabian couldn't understand how other children could ever get home sick. He got Hogwarts-sick. "Hi, can I hide behind you?" Frank half-joked, moving to stand beside Fabian. He looked a little hunted, shoulders hunched forward as if he could make himself shorter by will alone. She was quick to say goodbye to her parents. Neither did Bellatrix spend time looking over her sisters, since she was going to have to look at them for the entire year anyway. She briefly closed her eyes, taking a deep breath, the smell of poor muggles tickling her nose. Once on the plataform, she did't bother looking at the other students - not seeking anyone, not interested in any of them. "Let them seek me," she silently says, barely moving her lips. With the train ticket stuck between her teeth and her hair falling in front of her face, Cora Heaton grunts as she pushes and pulls her trunk down the platform, looking for some solace away from the noisy second and third years who are clamoring about the three months they were away from their best buddies. Having left her mother several days ago in her hometown, Cora is tired of talking to herself and searches for the familiar faces of her friends. She looks up to see the Black family, all regal in their expensive attire and proud smirks. She spots Bellatrix off to the side of them, and grins her first real grin in several weeks. She and Bellatrix make a strange couple, but there is a certain level of respect between them. Cora makes her way through the crowd, snapping at a thrid year who almost runs over her foot with his trunk, comes up behind Bellatrix and reaches out to tap her shoulder. Mop hated this part. The ride back to the school was long, boring, and crowded, with nothing to do but play catch up. Liv and Ser were seeing her off, after Ser helped her move her things into an empty compartment she hopped off the train and hugged both of them good-bye. Then she settled in to wait for the train to pull out. After his run-in with Rabastan he wasn't exactly sure he wanted to go back to school. They were meant to be friends, but he had felt that Rabastan really wasn't interested in talking to him, and had been mean on purpose. Maybe the boy was tired, after all he had probably only just returned from France and travelling made people tired. Even so, it was best to give Rabastan space, and not to annoy him any more than he had done already. He moved through the press of people, trying to find somewhere to sit, but everywhere seemed busy, packed with students and their families. He was trying hard not to get in anyone's way, and as he stepped out of the path of a student and their trolley piled high with luggage, he backed into someone, dropping his satchel and his books. "I'm sorry!" Basil managed, trying to scoop everything off the floor and save it from the hundreds of feet. "I'm really sorry!" Toby's arrival couldn't be more memorable. He managed to fall with all of his bags in the platform, which made some people laugh, some people roll their eyes and none to help. As soon as he got up, he tried to go as far as possible from the place he had fell. He did it, although unfortunately he didn't see any familiar faces. Well, he did see them actually, just not nice familiar faces. Only Slytherin familiar faces, too-old-for-him familiar faces and too-cool-to-hang-out-with-you faces. He sighed, already tired of that day, looking in the crowd after Basil. Toby was greeted by the sight of Basil apologizing to people he didn't know. He grinned. "Basil!" he yelled at the other boy, smiling. Rita looked around the platform,trying to identify everyone near.One summer could change a lot of things,and she already wanted to know every summer romance between Hogwarts students. This year was going to be her last,and she planned to make it her best.No matter who she had to hurt in the process. Taking a deep breath,she walked to the train carrying her heavy suitcase. "Please, Rita, let me carry that." Tiberius said, moving towards you, own suitcase in one hand, apparently not having much difficulty with it despite it being filled to near bursting. It might have been thought a little improper by some for him to address the young Slytherin lady by her first name, but they were all 7th Years together, from good families that had brought them up with good manners, and he was not about to pass up the opportunity to offer assistance. He flashed her a smile, a wide friendly Gryffindor smile, and took the suitcase from her and paused, letting her climb aboard the train first. "Looking forwards to your last year? I can't say I'm looking forward to the NEWTs exams..."
The morning had been spent making sure that Billy had all of her last minute things taken care of. She'd taken care of her purchases a few days after she'd gotten her letter. No, the short seventh year had needed to pick up yarn and her knitting materials, as well as picking up her glasses. Her mother had been fretting, which wasn't unusual. Mary had been checking and re-checking with her daughter as to whether or not she had this item or that with her on the way to the train station. Luckily Sybill was patient, she reminded her mother that they'd checked everything. While the girl was definitely prepared and had everything she needed. That didn't mean that she was there right on time, in fact she'd managed to delay herself and her mother quite a bit. When the two women finally arrived on the platform, Mary was in a hurry to get out of there. She never had liked the crowds, and she didn't care for standing there on her own. "Mum, I've got it from here. I'll write within the first week. Tell grandmother and grandfather I'll write to them too." She told her mother as the older woman threw her arms around her, mumbling something about luck and NEWTs. It was a bit backwards as Sybill watched her mother leave, but she had a smile pulling at her features as she saw her mother disappear. "Well, better put this where it belongs." She said to herself, giving a wave of her wand and muttering the proper spell. She didn't waste time, shooting a smile or a nod to those that she was familiar with, she managed to put her luggage where it belonged quickly enough. After that she settled into her chosen compartment, looking around almost wide eyed and curious. Abby had been busy the minute she'd gotten there; she'd left Al behind somewhere - and started looking for people to chat with. Unlike most people, Abby thrived in crowds. She loved crowds. They made her feel happy, healthy, and completely at home. So she'd buzzed in and about through the crowds saying her greetings to just about everyone she knew and even some she didn't. Though none of her conversations lasted very long. Abby was merely happy to be buzzing around talking to others and felt an insane need to trade words with as many people as possible before sitting down for the train ride. Finally calming down enough, Abby made her way into the train somewhat dejected that she didn't spend more time in the crowd, but the feeling washed away quickly as she got on the train. Another school year to look forward to. Yay. Abby was looking for a compartment to slide into when she noticed Sybill. She shuffled into the compartment, luggage still in hand. "Billy!" As she said it she dropped the trunk right in front of her. She felt even happier now, since well she rather liked Billy and that meant another person she talked to before the train even started moving. Abby tried to rush forward to hug the girl but in her haste she forgot about the trunk and tripped over it. Falling face first to the floor. Amelia tossed her straight, dishwater-blonde hair over one shoulder, trying to keep it out of her face as she settled her trunks into a neat pile next to her. Her parents were unavailable to see her off that day, but it was just as well. As a fifth-year she was old enough to set out for school on her own. Besides, she didn't want her mum fussing over her on the platform. Her hair really was getting out of control, and any and all hair ties she owned were firmly stored in the bottom of the bigger of her two trunks. Blast... she thought. Amelia tried to think of a charm to affix small objects--or, in this case, her hair--in one place. Everything she thought of would have messy consequences, though. All of her books and luggage in order, she reached down to pat her small cat on the head. "All right, Lainey. Just a few more minutes. There's a good girl."